Rick Riordan is one of my favorite living authors. 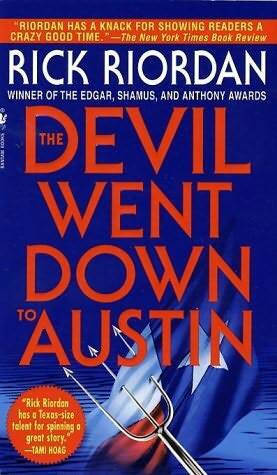 He has a distinct voice and it suits his protagonist Tres Navarre for what has become a stellar crime fiction series. If you enjoy following the exploits of an iconic hero throughout an ongoing number of novels – whether it’s Agatha Christie, Sherlock Holmes, or, I don’t know, James Bond – this series is for you. 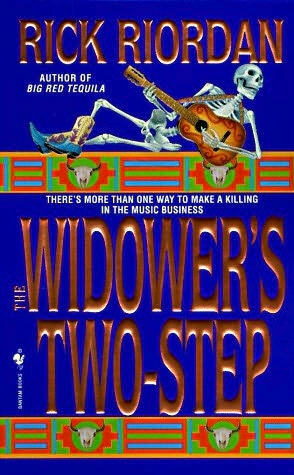 Riordan delivers engaging plots, snappy dialogue, three-dimensional characters, and the rich tapestry of San Antonio, Texas, with a grit and attitude as genuine as real snakeskin chaps. Just wished mine didn’t chafe so much. Would probably help if I wore pants. I’ve met Riordan twice at annual Book Festivals in Austin. He spoke each time to a large room filled to capacity. (He used to teach high school, and he's a great, charismatic speaker. Won a Master Teacher Award in 2002.) Many had to stand in the back. The following year they gave him a much larger space. It too was overfilled. Afterwards, he autographed books. The friend I stood in line with had taken an oath of silence and as the heat and the halitosis swelled, I grew progressively impatient. When we finally reached Riordan’s table, he asked how I wanted him to sign my copy of his latest Percy Jackson & the Olympians novel, The Titan's Curse. I said, “If you could just put: ‘We’ll always have that wonderful weekend in Maui.’” His chuckle seemed genuine. 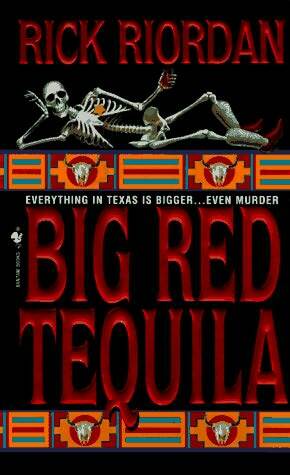 Riordan established his writing credentials many years ago with his debut novel Big Red Tequila. The book earned him both the Shamus and the Anthony awards. He has since won the Edgar award as well. 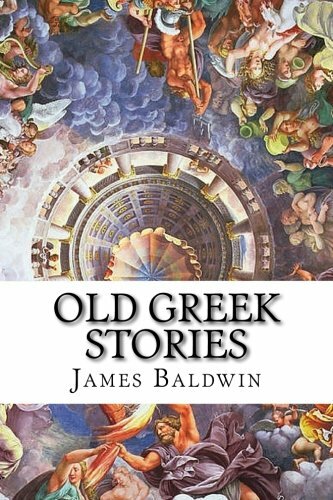 All before he began publishing his young adult fiction, Percy Jackson & the Olympians and his Kane Chronicles, though these latter series have contributed more to his popularity, not to mention showing off his versatility. Big Red Tequila is told first person by Tres Navarre, a Ph.D. in medieval studies and English, T’ai chi master, tequila fan, and unlicensed P.I. As if the case or the scenes aren’t intense enough, Tres has a smart mouth which frequently gets him into trouble and adds an extra layer of tension as well as humor. The writing is superb and worth your time. 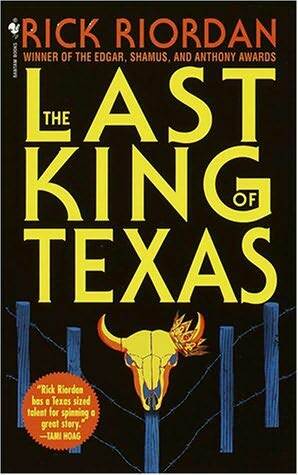 The Last King of Texas is even better. Riordan’s got a real knack for plot twists and pithy narrative. His economy of words and punchy descriptions are a testament to his craft. Even if crime fiction isn’t your favorite genre (it’s not mine), this guy knows how to hook you in and keep you turning pages. He has a keen eye, a good ear, and incidentally, nice abs. What more could you ask for? Lars’ hairline had receded since I’d seen him last, but he still sported the earring, the Willie Nelson beard. His shirt, vest, and jeans were faded to the color of a dust storm, and his eyes gave the same impression – dry and turbulent. He unzipped his wet suit to the waist, peeled his arms out of the sleeves. The warm neoprene let off its unmistakable smell. If car tires had armpits, they would smell like that. His hair was a short black cloud that moved in the water the way smoke boils over a petroleum fire. 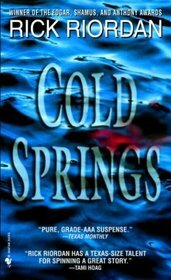 Cold Springs is a departure from Riordan’s Tres Navarre crime fiction in a number of ways. For one, it’s told third person omnipresent, meaning we hop around inside a number of characters’ heads. I thought Riordan handled this expertly. For two, unlike the lean and quick moving Navarre stories, here the narrative lingers on moods and motivations, exploring the inner thoughts and feelings of the characters more fully. Which I enjoyed. For three, the novel sports a brand new cast of characters, characters more grim than what you’ll find in the Navarre stuff, too. Hunter’s face could have been crafted from stealth bomber material – smooth hard contours, bald scalp so dark it seemed to drink the light. His eyes trapped you, studied you, released you only when they were good and ready. Hunter looked out toward the hills. He sighted a deer over the tips of his combat boots, as if calculating the best shot. …loading his gun at the kitchen table, pushing nine-millimeter cartridges into the magazine with the care of a pharmacist counting pills. But it was hard. It was like forcing his hand to touch a hot stove plate. …but something about her drew it out of him, like snake venom. He was going to shake to pieces. He was a test plane at the edge of the sound barrier, the bolts of his wings starting to rattle loose. Only one thing bothered me. The primary villain, Samuel, appears in several scenes with a number of characters, and these scenes are told from either their point of view or Samuel’s. Yet near the end of the novel we learn that Samuel isn’t Samuel, that Samuel has been dead for years. The character Riordan had been referring to as Samuel all this time is actually Kindra, Samuel’s sister, a murderous schizophrenic bent on vengeance for what others in the story put her brother through before Samuel was eventually murdered. If it weren’t for this one gimmick, I’d give the novel five out of five stars. But since at no time during these scenes is Kindra wearing a disguise, standing behind a wall, or augmenting her voice, there’s no reason for Riordan to deceive the reader in this way. The characters who interact with Kindra know they’re dealing with Kindra. Riordan simply omits this fact, conceals it from the reader. I found this plot device disingenuous. It went beyond misdirection. To keep up this pretense only to save it for the big reveal at the end struck me as unnecessary mischief. I hesitated to mention this after reading comments on Amazon and conferring with a friend who read the novel a decade ago since no one else seems to have had a problem with it. One of the pitfalls to scrutinizing a writer’s artistic decisions is that sometimes our impressions are less than fawning. I won't stop reading Riordan. His writing is too good. And I can certainly forgive this one transgression in lieu of his many other satisfying novels. Besides, if all else fails, we’ll always have that wonderful weekend in Maui.